The Hitman series has recently been rebooted, with the latest title being released episodically over the next few months. 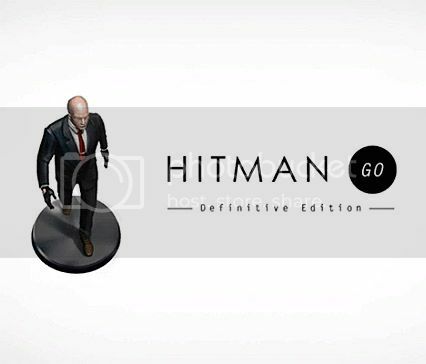 Hitman GO was released on mobile devices in 2014, and has now been released on PlayStation 4 and PS Vita with the new Hitman GO: Definitive Edition, which has been beefed up with enhanced visuals and extra content. But how does the relatively simple mobile game translate onto the PS4, that has just seen the main game make a triumphant return? The namesh 47, Agent 47. 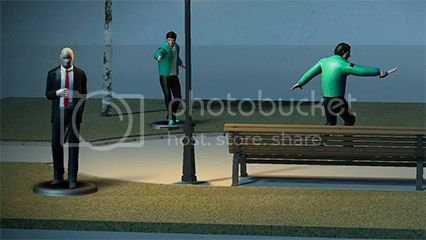 The first thing to remember about Hitman GO! is that it is not an action game. It takes the tactical aspect of the hit assassin series, and turns it into a strategy puzzle game, much like a game of chess. 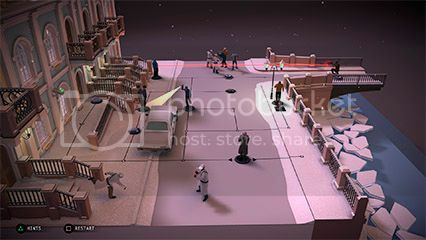 The game is a stripped back version of the main titles, where Agent 47 is put into a 3D diorama stage, with different scenarios from various Hitman games, and all-new missions that have been designed by the developers to utilise the new game style. Each of the stages can be rotated so you can see the position of enemies, collectable briefcases, and other items of interest. Each of the characters is designed like a resin figure, and they aren’t animated at all. There is also no story or dialogue, and Hitman GO is all about the gameplay, which is indicative of the game’s mobile roots. The gameplay is turn-based, with you moving Agent 47 around a set path which has different branching routes you can take. You have one turn to move your character on a single space, and then the AI moves the enemy characters one space as well. If you move within one space of the enemy and they are facing you, then they can take you out, and vice versa. The game is all about learning the routine of AI enemies, who all have different movement patterns. Some may stand still and kill you if you cross their path, while others have a set path or routine that they follow. You need to find a route through these enemy movements to locate the exit or eliminate the assassination target of the level. Sometimes you may find a way to quickly exit the level, while at some points one wrong move can lead you into an impossible situation where you will end up having to start again. As you progress through the levels you are hit with extra variables to the gameplay, with some enemies that have dogs that follow you around the level, while others pack sniper rifles or torches that allow them to see in two directions at once. 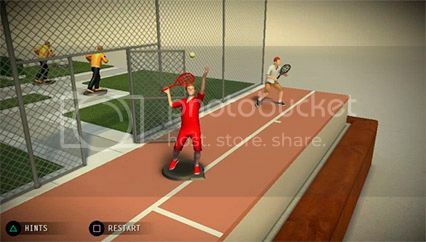 You are also given the option to throw rocks or cans that will distract guards or make them change their pre-determined path. Disguises are also used to let you walk past any enemy wearing the same colour uniform as your disguise. Later on, you are given single-use pickups that give you a sniper rifle to take out distant enemies, or Agent 47’s iconic Silverballers dual pistols that will take out any enemies on the same path as our follicly challenged assassin. To make the most of these pickups you need to wait until the enemies are in the correct area. If you don’t get your timing spot on, your shots will be wasted, and the chances of you completing the level will be diminished. Each level has some bonus objectives that you can take on. These consist of things like collecting a briefcase, killing all enemies in a level, or finishing the level in a certain number of moves. These bonus objectives earn you points, and you need to collect as many of these as you can, as later on in the game you need to have a certain amount to unlock levels. There is a handy hints system in place to help you if you get stuck that shows you each move you need to take to finish the level or side objectives, but beware; if you do use it, your chances of earning a Platinum trophy will be killed off, much like the targets Agent 47 is sent to kill. Hitman GO obviously has its roots as a mobile game, but that doesn’t make it any less playable on a home console. It distills the essence of the Hitman series into a compelling puzzle game, that pulls you in and urges you to have one more go. Apart from a few control issues, where our character moved in a different direction than we envisaged, the gameplay works really well, and the minimalist tactical board game aesthetics look really nice, and fit in well with the cold and calculated world of an assassin. If you don’t have a lot of time on your hands, Hitman GO is perfect snack-sized gaming with plenty of levels to test the old grey matter. Just don’t expect the action-packed extravaganza that its bigger brother is known for.